Sappi is a global company focused on providing dissolving wood pulp, paper pulp and paper based solutions to its direct and indirect customer base across more than 100 countries. Their dissolving wood pulp products are used worldwide by converters to create viscose fibre for clothing and textiles, acetate tow, pharmaceutical products as well as a wide range of consumer products. Their market leading range of paper products includes: coated fine papers used by printers, publishers and corporate end-users in the production of books, brochures, magazines, catalogues, direct mail and many other print applications; casting release papers used by suppliers to the fashion, textiles, automobile and household industries; and newsprint, uncoated graphic and business papers and premium quality packaging papers and tissue products in the Southern Africa region. 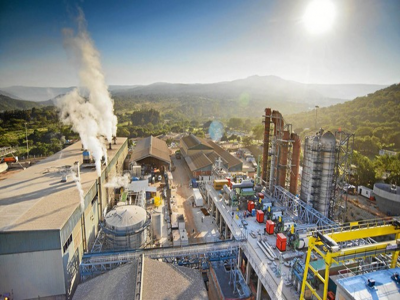 The SAPPI Maintenance program was completed in mid-2013. The project was carried out by the Southey Holdings. The project scope entailed thermal insulation for boilers and pipelines and the natural choice was to use ULTIMATE U Thermo products. The application temperature ranged from 200 degC to 300 degC and saw 7500 m2 of ULTIMATE U Thermo Matt and 2600 LM (linear meters) of ULTIMATE U Thermo pipe being used.